Welcome to our list of the local Swindon clubs and societies, many of which meet on a regular basis. 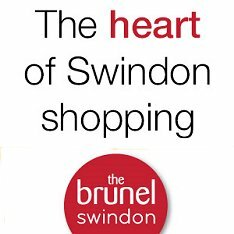 Should you not find what you want, please try our A-Z of Swindon related websites. And should you have a club or society in Swindon that needs new members or just wants to promote itself, please e-mail us your details and we will gladly include you. Promoting better driving and riding, leading to improved road safety in North Wiltshire and surrounding areas. Meet weekly at the North Swindon Library. Meet once a month in the Croft Sports Centre. Duplicate Bridge every Tuesday night starting at 7.00 pm. Swindon club with dive pool and clubhouse dedicated to promoting fun, safe diving. Dorcan Performing Arts Group the community group run by the community with professional tutors offering anyone over the age of 9 the opportuniity to tread the boards. Meetings are held at the Dorcan Academy Covingham, Swindon, Tuesdays in term time only from 7pm-9pm. All we ask is you turn up wearing black suitable clothing and footwear with a £2 contribution. A annual fee of £5 is applicable. DPAG offer two productions each year, variety show in July and Pantomime in January. Want to find out more come and visit us on a Tuesday or contact 01793 339344. Come and join the group that makes a difference to the young people of Swindon, working in partnership with Dorcan Academy. A support group for Endrometriosis suffers. Meet 1st Thursday of every month at Health Hydro. For anyone who wants to watch a film with like-minded people. Meet every Saturday at Cineworld cinema, Swindon. Swindon Film Society - Our film club specialises in award-winning world cinema, which will not always be screened in high-street cinemas. Our season runs from September to April, please contact us now for the next season's programme. Beginners welcome, no need for a partner. Lively dancing from 17th Century to American Squares and Contras. Meet 3rd Tuesday, 7.30 pm, Lawn Community Centre, Guildford Avenue (not December). Meets at the Windmill pub in Freshbrook and at the Beehive off Victoria Hill. Reuben George Hall, Cavendish Square, Park South, Swindon. Wednesday walks with pub lunch. Meet 10.30am nr Croft Centre entrance, Marlborough Lane. We are a friendly art group meeting on a Tuesday for a half day or full day workshop. At the Community Room, Council Offices, Highworth, SN6 7FB. To find out more please visit our website via the link below. Haydon Centre, Thames Avenue, Haydon Wick, Swindon. Meet every Monday evening at 7.30pm. Hold classes every Monday & Wednesday from 4pm. Meet every 3rd Wednesday of the month from 7-9pm at Park South Community Centre. The group is for sufferers and carers of ME/Chronic fatigue Syndrome. White Hart Pub, High Street, Wroughton, Swindon. Peatmoor Community Woodland, off Swinley Drive, Peatmoor, west Swindon. Contact: Liz Emerson, 43 Lomond Close, Sparcells Swindon. Design and Technology room, behind the Main Building at Kingsdown School. From August 200 meet 1st & 3rd Wednesday 10am. Meets Saturday or Sunday every Week. Contact: David Trease (01793) 616346. Meet Saturday or Sunday for walks of 4-13 miles in nearby countryside. We are a self fundraising organisation: - Passing Out Parades, Remembrance Services, Carnivals, Parades, Shows, Fetes etc. Meet Monday 5.30pm & 7pm at Noremarsh Junior School, Clarendon Road, Wootton Bassett. Meet Tuesday 1pm Memorial Hall, Station Road, Wootton Bassett. Meet Thursdays 6pm & 7.30pm at Salt Way County Primary School, Pearl Road,Middleleaze, West Swindon. The largest voluntary organisation for young men (18-45) in the world. Meet on the first and third Saturday of the month. Meets every Wednesday from 8.00pm in The Southbrook pub in Ferndale. Drama group that puts on shows and pantomimes at the Arts Centre and the Wyvern. Age range 8-68, with the majority in early 30s. Meet: Wed and Fri nights, 7.30-10.00pm at Drove Road Primary School, Drove Road, Swindon. Rehearsals for this year commence on Tuesday 11 September. Several concerts before the next full production which will be later than the normal mid March dates. Full details to follow. A successful local club that has been running in Swindon for over 20 years! Training times are Wednesday & Friday at 8.00pm for adults, and Friday at 7.00pm for children. The Swindon IVC are a local social group where members put events on for other members. This means our events range from book club, cinema, theatre to music festivals, day trips, walking to tennis, badminton, ice hockey or just having a drink in a local pub! Model lead Life Drawing sessions are held monthly on a Sunday between 10.00-16.00 in a large, bright studio space in Old Town. Booking is essential as we limit the numbers of artists attending to ensure all have a clear line of sight to the model(s). The sessions have been running since 2004 and attract artists from across a 100 mile radius due to the quality of the models and the group of supportive and enthusiastic artists (amateur and professional) who attend. Meet every Friday in term time at the Friends Meeting House in Old Town from 7.40pm to 9.40pm. We have a programme of weekly speakers / discussions. Meet 1st and 3rd Wednesday at Blunsdon House Hotel. Develop and practise effective speaking skills for all occasions both at work and socially. The new season starts Thursday 1 September 2011 – your first two meetings are FREE! Blunsdon House Hotel, Swindon. Just turn up. A new ukulele group will be meeting in Swindon, fortnightly from Tuesday 10th February, for like-minded people to get together in the basement bar of the Goddard Arms in Old Town, to learn, practice, play, sing, and enjoy ourselves. If you're interested in improving your playing in a congenial group, over a drink or two and a few laughs, please message me at oldtownukes@gmail.com to let me know you're there, or contact me on Facebook. If you’re a ukulele player, or would like to learn to play, you’re invited to come to one of our Open Evenings. The Swindon UFO Research Organisation (SUFOR) meet on the 3rd Monday of each month at the Kings Hotel, Wood Street, Old Town, Swindon. We discuss the latest anomaly sightings, current investigation cases and general chat about UFO's and the paranormal. Exciting new choir now rehearsing every Tuesday 7.30pm. Church of Christ the Servant, Abbey Meads Village Centre. Contact: Rob Elliott (01793) 853753.